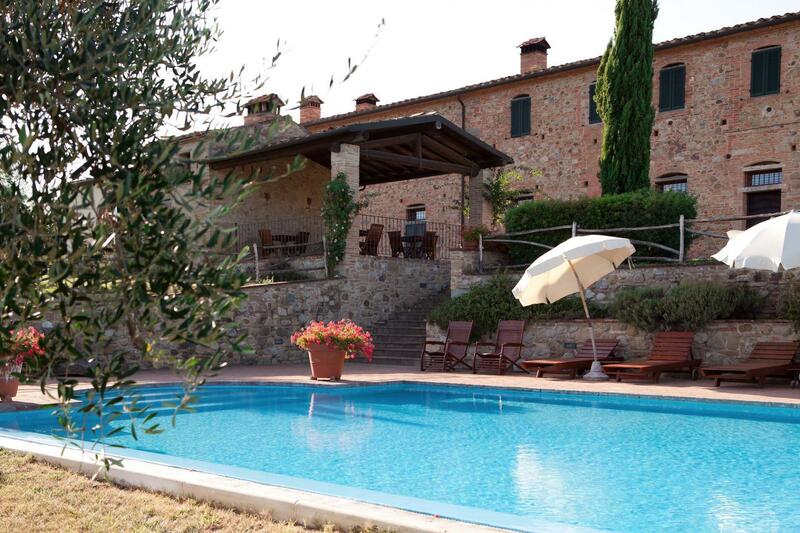 In the beautiful, peaceful countryside of Tuscany, just outside the historic city walls (800m.) 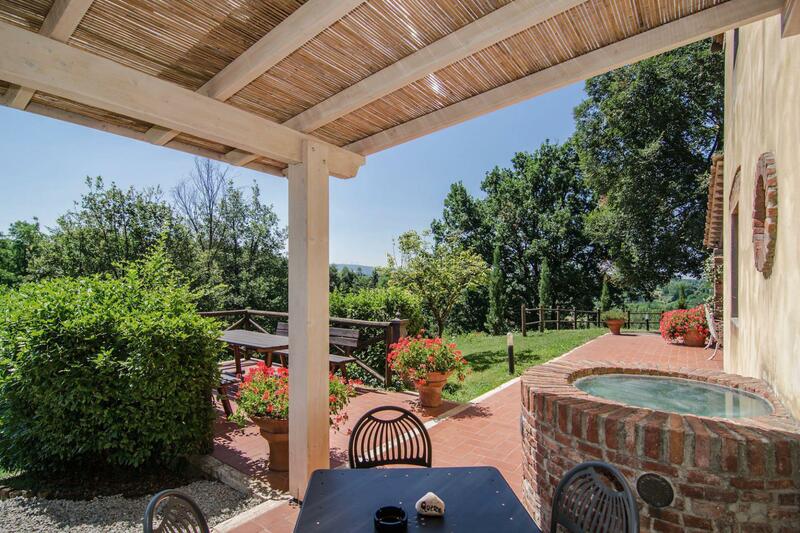 of the medieval town of Montepulciano, is this organic agriturismo. The agriturismo has been completely restored according to "Bio architecture", which means that only natural materials are used. Hot water and heating is obtained by solar panels. On the farm they produce Saffron, olive oil, honey and various types of grass for feeding the horses. 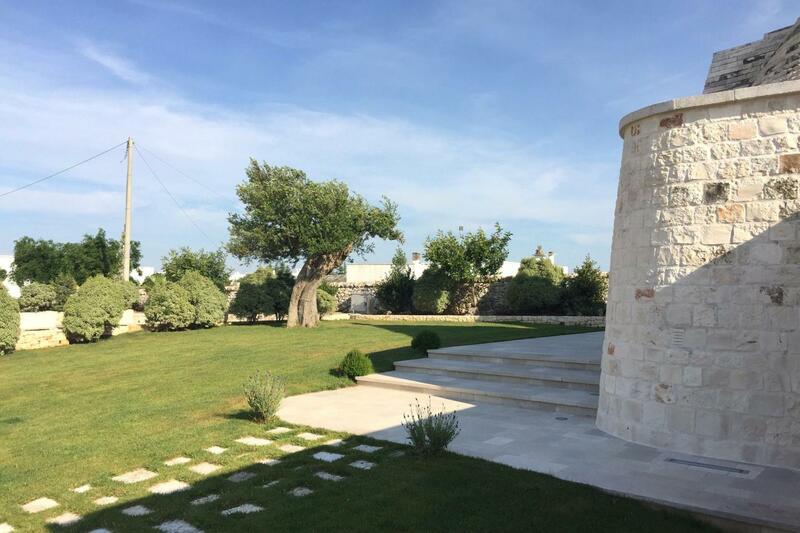 The four large rooms of the agriturismo with private bathroom are on the first and second floor of the farmhouse. 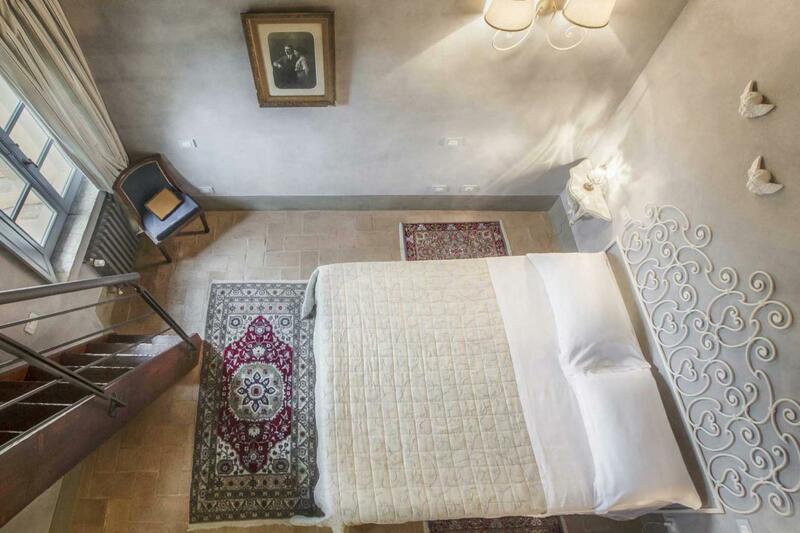 All rooms have beautiful views of the Tuscan hills or Montepulciano. All rooms have wooden floors and a good king size bed of 220 cm long. Breakfast (obviously based on organic products) is served in the breakfast room of the agriturismo or in the garden when the weather is good. Occasionally they prepare diner with home-grown vegetables. 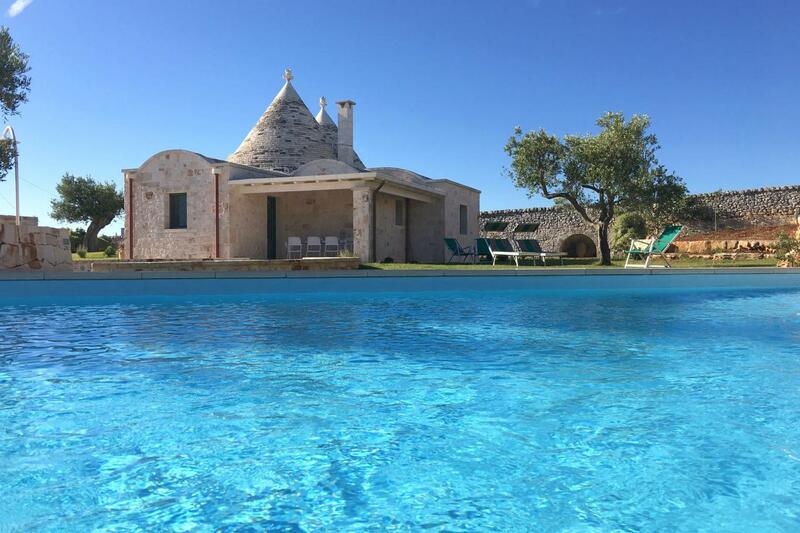 The agriturismo has a special pool. It looks like a cross-over between a lake and a swimming pool. They call it a bio-pool. The water is not cleaned with chemical products, but with plants that are just outside the edge of the pool. The result is a natural pool with beautiful clear water. Unfortunately I was there in the winter and I could not try it! This agriturismo is the perfect base for day trips to include Pienza, Montichiello, Bagno Vignoni and San Quirico. Also larger towns such as Siena, Perugia, Arezzo and Orvieto are easy to visit from the agriturismo. For lovers of culture, tranquility, good food and an afternoon relaxing by the natural pool! Suite with seating area, king size bed and a bathroom with shower. The room has wooden floor and air conditioning. There is no TV. On request an extra bed can be added. Junior suite with king size bed and a bathroom with shower. Suite on two levels. On the ground floor there is a living room and a bathroom. On the first floor there is a double room and a room with two single beds. On request 2 extra beds can be added. Prices are per room per night including breakfast based on organic products. Extra bed: € 50 per night. Restaurant open every day for lunch and dinner ( reservation is required).